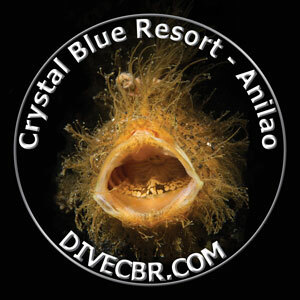 Christina won 7 night dive package with an option to join a Mike Bartick Photo Workshop at Crystal Blue Resort. 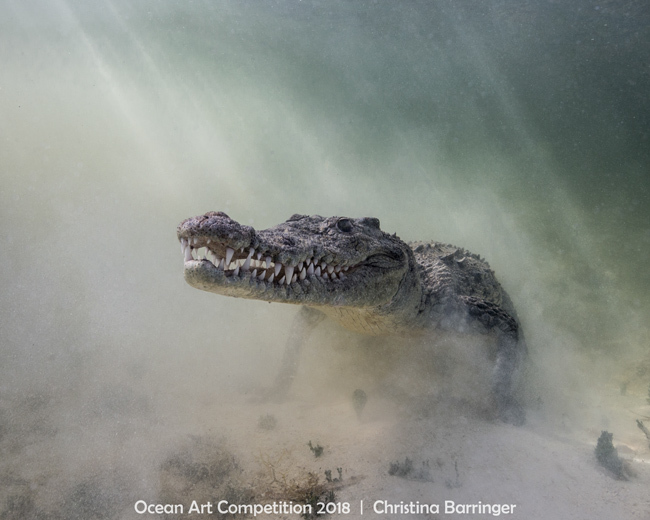 The Story: “Croc in the Mist” was a fierce shot. As quick as this young croc made its appearance, it charged towards my dive partner. With no camera to use as a barrier, she was vulnerable. As it kicked up the sand, visibility became poor. So I quickly pushed myself in front of my dive partner and dove down, using my large camera as a barrier. But first, I just had to snap this shot!